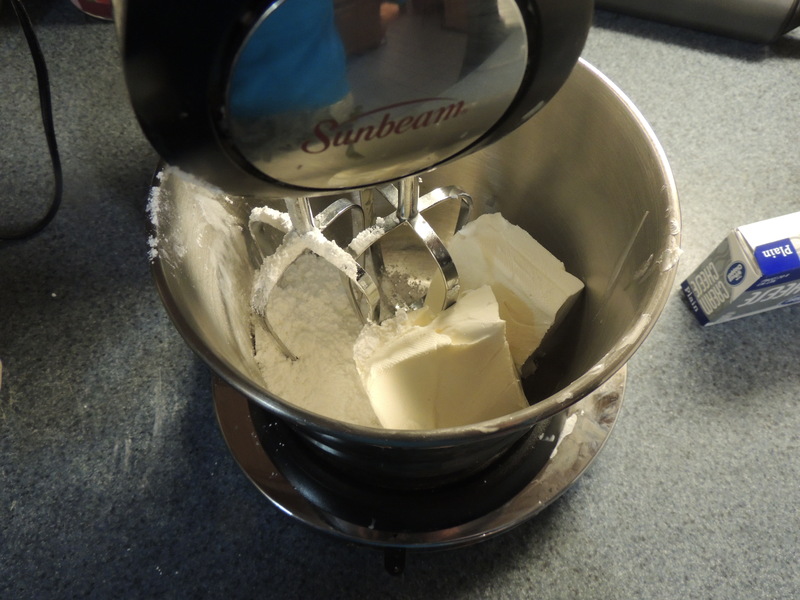 In a mixer, combine cream cheese and powdered sugar, beating for about 2 minutes until light a fluffy. Add the condensed milk and vanilla and beat just until combined. Pour mixture into a pastry bag (or ziplock bag if you don’t have one) and refrigerate 1 hour. 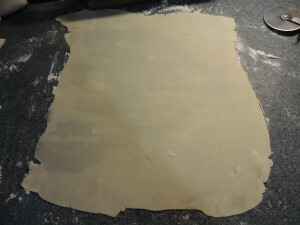 On a lightly floured surface, roll out one of the pie crusts into a 10×15 in rectangle. The crust should be nice and thin and almost translucent. Cut the sheet in half to make 2- 5×15 in sheets. Lay one layer of crust on a ravioli press, and gently press the dough down into the holes. 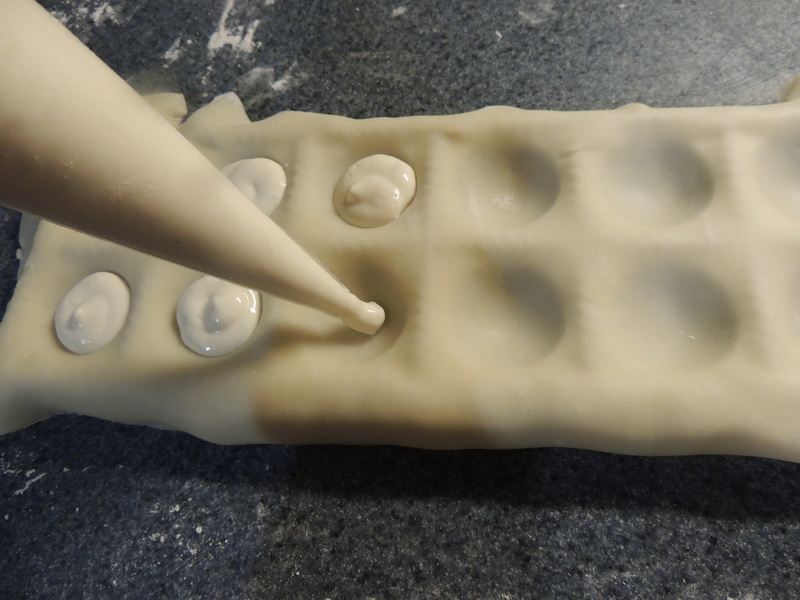 Take the chilled filling and pipe it into the wells of the ravioli. (If your using a ziplock bag, cut one corner off to form a tip.) 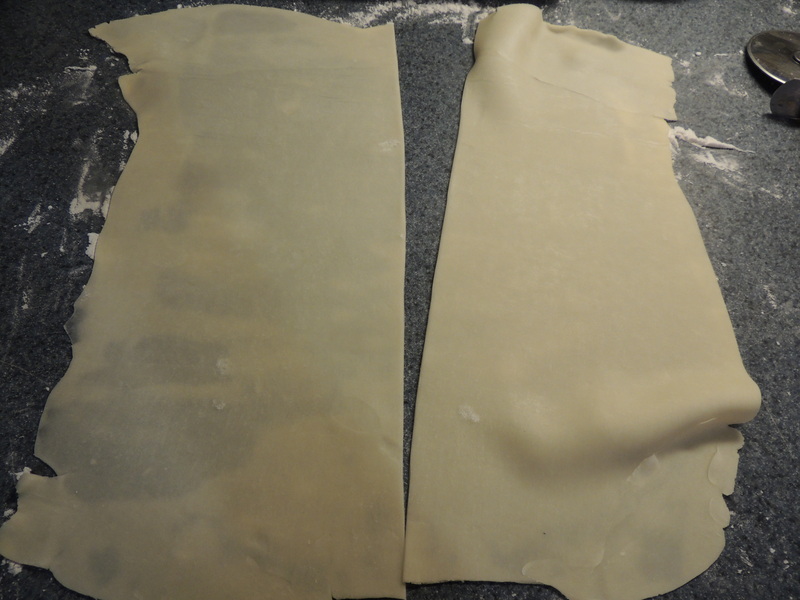 Top with the second layer of crust and cut out the ravioli using the rolling pin. If you do not have a ravioli press, pipe out 1in dollops of filling onto the bottom sheet of crust leaving 1in between dollops. 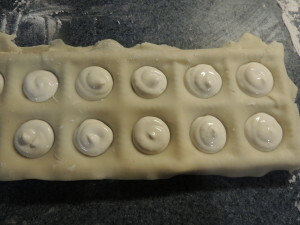 Lay top crust over and gently press dough down around each dollop of filling. Press firmly to create a good seal. 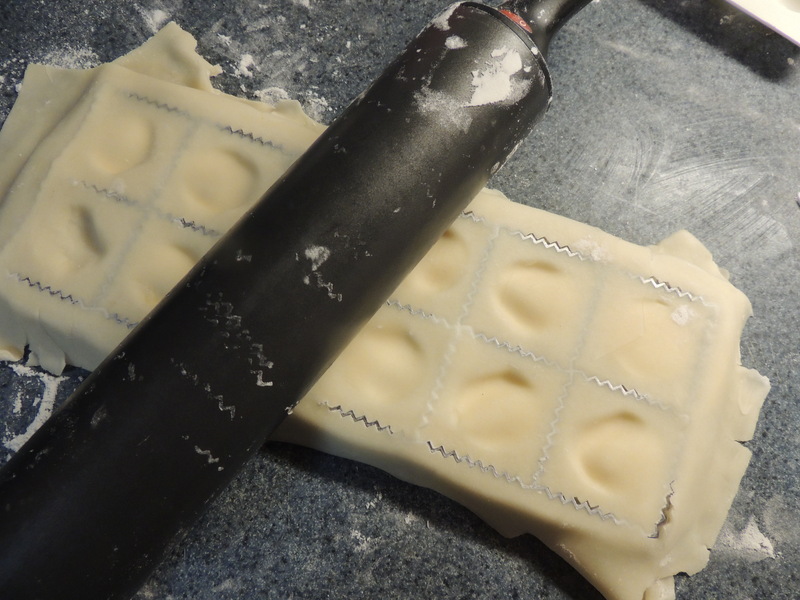 Cut out ravioli in a square shape using a pizza cutter. Crimp the edges of the ravioli with a fork to ensure a good seal. Repeat steps 2 and 3 with the second pie crust, and scraps of dough left over until all dough is used. 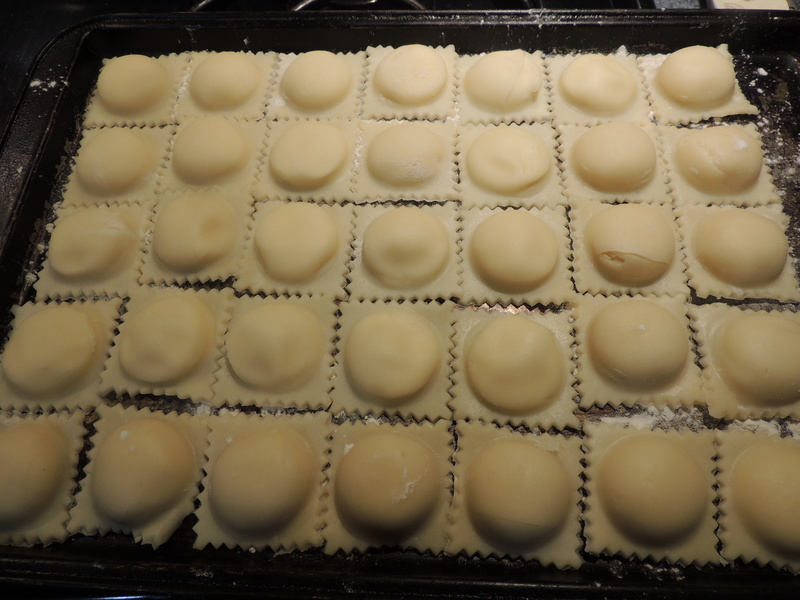 Place cut ravioli on a flowered baking sheet and freeze for 1 hour. 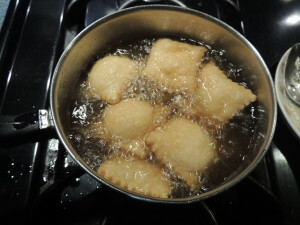 Step 5: Fry em’ up! Heat a deep fryer to 350⁰. If you do not have a deep fryer, you can fill a small saucepan with oil and monitor the temperature with a candy thermometer. Fry the ravioli in batches for about 1-2 minutes or until they start to brown. Flip the ravioli half way through for even cooking. Remove them from the oil and drain on paper towels. Let the ravioli cool for 15 minutes then dust with powdered sugar. You can enjoy these warm or cold! 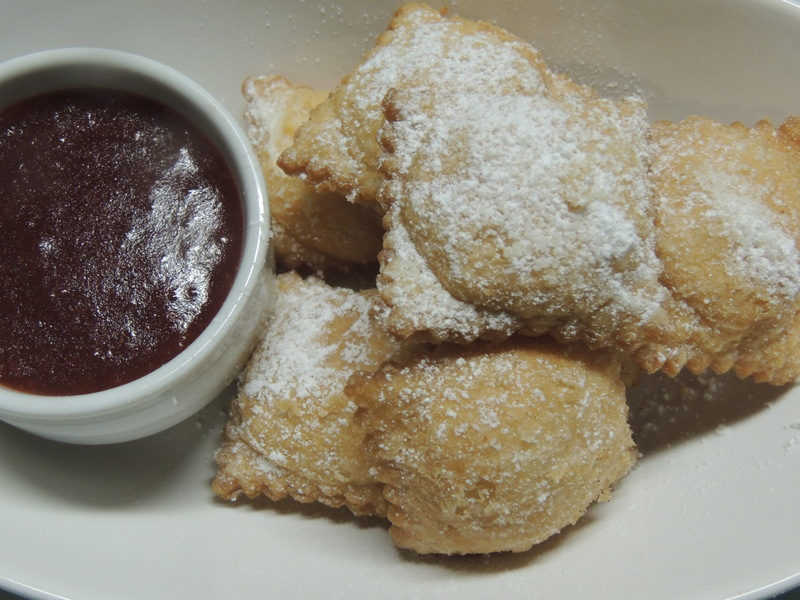 If you want a creamy soft filling, eat them right away or slightly chilled. If you prefer a soft but firmer filling like a traditional cheesecake, refrigerate them overnight before serving. 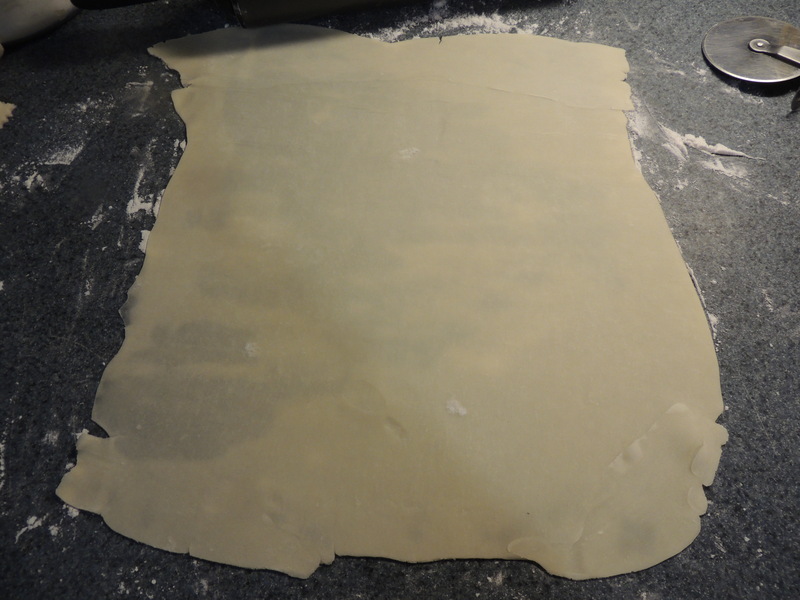 On a lightly floured surface, roll out one of the pie crusts into a 10inx15in rectangle. The crust should be nice and thin and almost translucent. Cut the sheet in half to make 2- 5×15 in sheets.